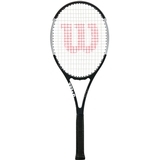 Wilson Pro Staff RF 97 Autograph Tennis Racquet Item # WRT74171U $249.00 $179.00 Buy 2 or more for $169 each Be The First To Review! 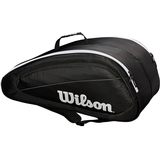 Wilson Federer DNA 12 Pack Tennis Bag Item # WRZ830812 $159.00 Be The First To Review! 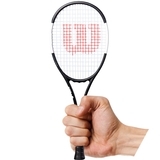 Wilson Pro Staff RF 97 Fun Sized Tennis Racquet Item # WRZ741711B $29.95 Be The First To Review! 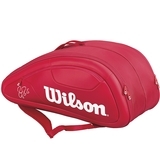 Wilson Federer Team 12 Pack Tennis Bag Item # WRZ834812 $74.00 Be The First To Review! 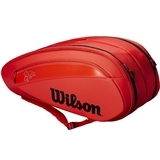 Wilson Federer DNA 12 Pack Tennis Bag Item # WRZ830712 $149.00 $109.00 Be The First To Review! 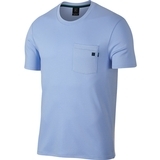 Nike RF Men's Tennis Tee Item # 913466634 $35.00 $17.50 Be The First To Review! 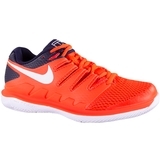 Nike Air Zoom Vapor X Men's Tennis Shoe Item # AA8030600-A $140.00 $77.00 Be The First To Review! 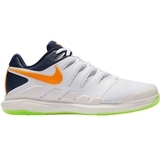 Nike Air Zoom Vapor X Men's Tennis Shoe Item # AA8030002 $140.00 $70.00 Be The First To Review! Nike RF Men's Tennis Tee Item # 923997372 $35.00 $17.50 Be The First To Review! 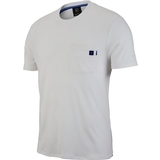 Nike RF Men's Tennis Tee Item # 923997478 $35.00 $17.50 Be The First To Review! 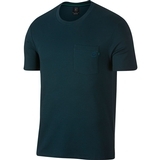 Nike RF Men's Tennis Tee Item # 923997833 $35.00 $17.50 Be The First To Review! 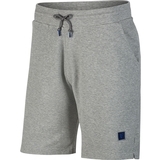 Nike Flex RF Men's Tennis Short Item # 934437100 $80.00 $40.00 Be The First To Review! 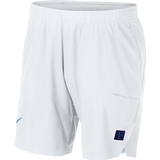 Nike Flex RF 7" Men's Tennis Short Item # 934437713 $80.00 $40.00 Be The First To Review! 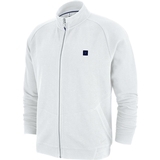 Nike Zonal Cooling RF Advantage Men's Tennis Polo Item # 939080838 $100.00 $50.00 Be The First To Review! Nike RF Men's Tennis Polo Item # AH6762025 $70.00 $35.00 Be The First To Review! 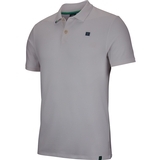 Nike RF Men's Tennis Polo Item # AH6762450 $70.00 $35.00 Be The First To Review! 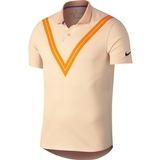 Nike RF Men's Tennis Polo Item # AH6762713 $70.00 $35.00 Be The First To Review! Nike RF Men's Tennis Tee Item # AH6764025 $60.00 $30.00 Be The First To Review! 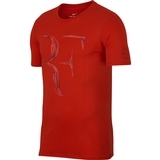 Nike RF Men's Tennis Tee Item # AH6764100 $60.00 $30.00 Be The First To Review! 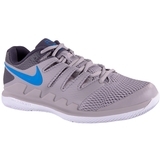 Nike RF Men's Tennis Tee Item # AH6764303 $60.00 $30.00 Be The First To Review! 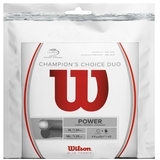 Nike RF Men's Tennis Tee Item # AH6764450 $60.00 $30.00 Be The First To Review! 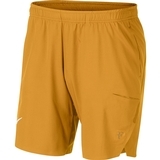 Nike RF Men's Tennis Short Item # AH6866063 $65.00 $32.50 Be The First To Review! 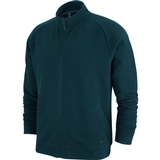 Nike Hypershield RF Men's Tennis Jacket Item # AH8385100 $180.00 $90.00 Be The First To Review! Nike Hypershield RF Men's Tennis Jacket Item # AH8385403 $180.00 $90.00 Be The First To Review! 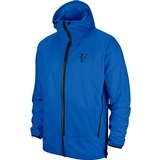 Nike Hypershield RF Men's Tennis Jacket Item # AH8385713 $180.00 $90.00 Be The First To Review! 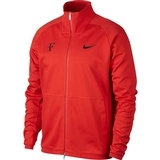 Nike RF Men's Tennis Jacket Item # AH8913100 $120.00 $60.00 Be The First To Review! 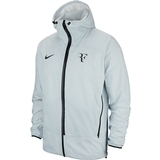 Nike RF Men's Tennis Jacket Item # AH8913303 $120.00 $60.00 Be The First To Review! 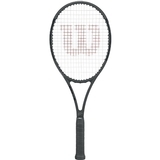 Nike RF Women's Tennis Tank Item # AR1933634 $35.00 $17.50 Be The First To Review! 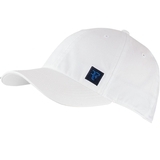 Nike RF Women's Tennis Tank Item # AR1933100 $35.00 $17.50 Be The First To Review! Nike RF Women's Tennis Tank Item # AR1933415 $35.00 $17.50 Be The First To Review! 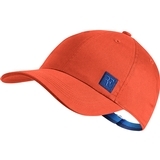 Nike RF Aerobill Heritage 86 Men's Tennis Hat Item # AQ9094478 $28.00 $16.80 Be The First To Review! 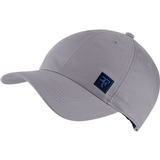 Nike RF Aerobill Heritage 86 Men's Tennis Hat Item # AQ9094581 $28.00 $14.00 Be The First To Review! 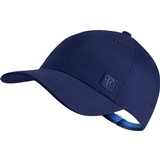 Nike RF Aerobill Heritage 86 Men's Tennis Hat Item # AQ9094634 $28.00 $14.00 Be The First To Review!